Push notifications are different from SMS. 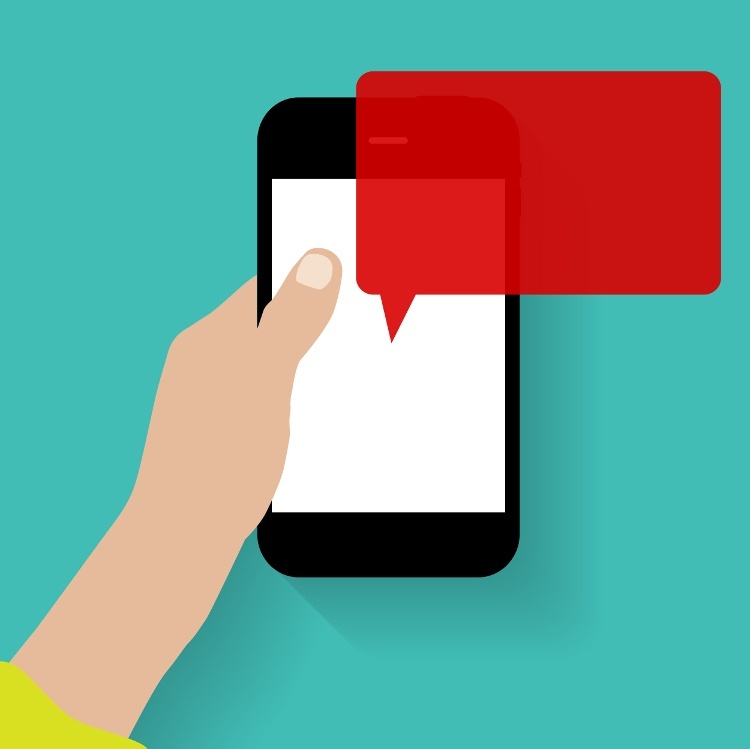 Push notifications are brief messages sent to a smartphone from within a mobile application and are used to convey information to mobile app users. To receive push notifications, mobile app users don’t have to have your application open they just have to to be opted-in to push notifications in general. Opting-in Mobile users have the ability to choose whether they will accept push notifications. Before anything else, you first need to convince your customers to accept push notifications from your application. Never send push notifications to someone who hasn’t opted in. It’s better to not use push notifications than to risk someone uninstalling your mobile application over one. Increasing Engagement Push notifications can be a smart way to increase engagement with your mobile app users. By regularly communicating things like tips, discounts and other relevant information, you can stay in contact with users, incentivise them to regularly visit your application and help to keep your organisation at thier front of mind. Keep your noifications short however. iOS devices require push notifications to be under 200 characters. Also, make sure your push notifications are time-zone dependent. You do not want to wake up users on the other side of the world about a big sale you’re having. Communicating Important Notifications Another primary use for push notifications is to send reminders or convey important information. These types of messages might include payment reminders, ‘ending soon’ messages, security warnings, etc. Emails can be easily lost or ignored, so if there is a short, important message push notifications are a great way to get in touch. You can help your app notifications stand out by using a custom sound. This is best for organisations that do not send push notifications very often though, as these can become annoying over time. Location-specific Information Geo-targeting is based off mobile application users, so push notifications play an important role in offering geographically-based messaging. These types of push notifications are activated based on a specific location or proximity to a location and will alert the customer when they arrive there. Geo-targeting is popular for persuading people to enter a brick and mortar location with discount offers, but there are many other possible uses for it. Incentivising in-person purchases can be a clever way to engage with customers who prefer not to purchase online, but might be more likely to redeem an offer in-store. People have varied opinions about push notifications and many individuals choose not to allow them at all. This supports the case for careful, responsible use of them with strategic messaging that is relevant and respectful to users. Through smart use of this technology, marketers can leverage the unique opportunities push notifications provide for years to come. If you would like to know more about the best uses for Push Notifications in mobile markting contact us today.